Staffing ratios of 1:3 are adhered to which is in accordance with Early Years Foundation Stage Statutory Guidance. We off places for babies from 4 months of age and our youngest children are based in the star room. We appreciate the importance of individual routines at this age and work closely with parents to ensure a personal approach for each child. We have a separate sleep room, bottle preparation area and nappy change facilities. At this age, play and learning is very exploratory and discovery based with all five senses involved. The children learning through how things look, feel, taste, smell and sound. Messy play - sand, gloop, water, play dough. Opportunities to explore and interact with older children. The practitioners are fully experienced in caring for children of this age and will provide a variety of stimulating play activities. Each day we will record what your child has had to eat and drink, their sleep pattern, nappy changes and activities etc. 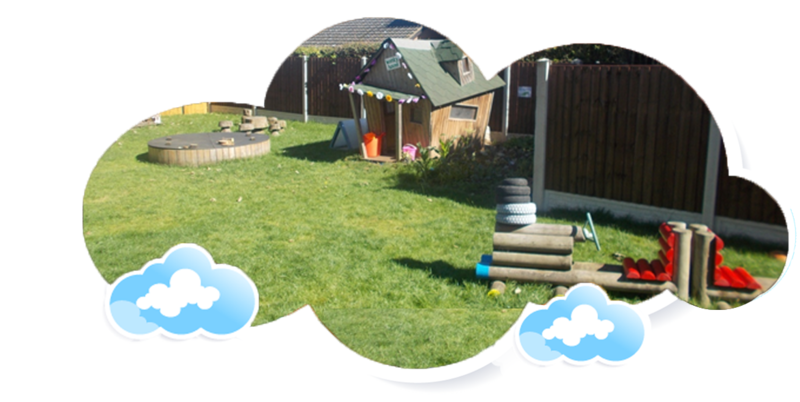 We work with the Early Years Foundation Stage (EYFS) which provides children with opportunities to broaden their learning and development.